When it comes to keeping track of country music awards shows, it’s a bit like stirring a bowl of alphabet soup. The algorithm is simple. Take the words “country”, “awards” and “music”, push them around with a spoon and what appears might be the following: the Academy of Country Music (ACM) awards on CBS, the Country Music Association awards (CMAs) on ABC, the CMT music awards on CMT, the American Country awards (ACAs) on Fox, and the AmericanCountry Countdown awards, also on Fox. All dominate primetime television during different points of the year to hand out hardware among the same crop of new country singers and groups. There are distinctions. Some involve prestige: in its 51st year, the ACM awards are the oldest prizes, followed closely by the CMAs, in its 49th year. The former is oriented towards western artists, in addition to ones in Nashville, while the latter is considered more prestigious because it is based in Nashville and operated by the Country Music Association, which also controls the Country Music Hall of Fame. Then there are differences in how awards are tallied, but deep into the weeds, even those breakdowns are slim. When the American Country awards show appeared on the scene in 2010 and declared it was the industry’s only program to feature fan-based voting, the organizers of the CMT music awards objected, since that had been their claim since 2002. It turns out the ACAs split traditional categories like single of the year into separate gender categories and featured unprecedented categories like “touring headline package of the year”. 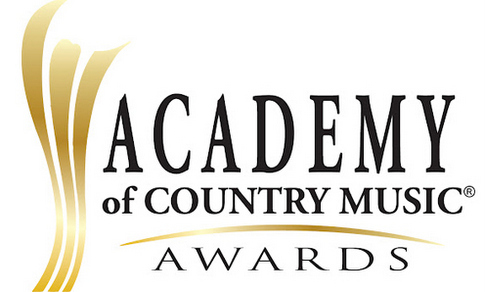 Last year, Fox replaced the ACAs with the American Country Countdown awards (ACCAs). Confused? Allow me to muddy things even further. There are also the Americana Music awards & honors every September at the historic Ryman Auditorium in Nashville, and the Inspirational Country Music awards each October, which honor Christian, or “inspirational”, country artists. The International Bluegrass Music Association, based in Nashville, also hosts an annual awards show every September. The deluge of these events reflects the splintering of modern country music, which is too often an umbrella term for variant artist styles and audience preferences. But the televised award shows are more homogeneous since they tend to look forward and less backward, placing a wide spotlight on the newest hitmakers. As with the Oscars, the shows tend to be more about the performances and less about the podium. In addition to a duet between Katy Perry and Dolly Parton, Sunday’s ACM awards will feature a whopping 20 performers, including Jason Aldean, Dierks Bentley, Eric Church and Kenny Chesney, among others, which makes one wonder when they’ll have time to ask winners to claim their awards. And in what may be the most flagrant sign that the hardware is taking a backseat to the performances, the ACMs have already announced that Kelsea Ballerini, Chris Stapleton and Old Dominion have been named new female artist of the year, new male artist of the year and new duo/group of the year, respectively. Why bother with suspense? The abundance of these shows weakens the value of being honored, but maybe that is beside the point. It is hardly a coincidence that these shows have been growing at the same pace as live televised musicals like The Wiz, The Sound of Music Live! and Peter Pan Live! As more viewers abandon primetime television for on-demand services like Netflix and Hulu, content producers have been scrambling for a way to lure them back. The temporary ratings fix seems to be these live events that are tailor-made for running commentary via Twitter, where viewers can nitpick a presenter’s dress, pull apart a performance, or debate whether their favorite star was snubbed. Trend watchers describe this as participatory viewing, during which distracted viewers can immerse themselves in switching between screens to contribute their thoughts and opinions. Take the ACM Sessions, a new online concert series sponsored by Ram trucks. Before, during and after Sunday’s awards show, viewers can watch on-demand performances and interviews with many of the stars, but particularly the “rising talent” (AKA new performers hunting for an audience). Newcomers Old Dominion, for example, will perform almost the entirety of a new album. For artists just breaking on to the scene, such ample exposure is rare. So why aren’t television producers divvying up the awards show pie to make room for other genres, such as rock or hip-hop or R&B or Latin pop? The answer is simple: the numbers don’t add up. Even though pop outsells country, according to Nielsen, defining what constitutes the genre is difficult. That makes country the single largest defined genre of music, which can be perfectly packaged for a televised event geared for a mass viewership. Country fans like seeing their favorite stars rewarded. Lucky for them, the opportunities are endless.